Two cousins of Abu Musab al Zarqawi, the slain leader of al Qaeda in Iraq, were arrested by Jordanian security forces as they returned from waging jihad in Syria. The two cousins, Zayed Sweiti and Firas Khalailah, were detained by Jordanian border guards after spending five months in Syria, Mohammad Shalabi, a Salafist who is also known as Abu Sayyaf, told AFP. 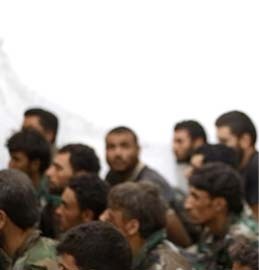 The report of the capture of the three jihadists takes place as the US has stepped up support for the Jordanian government as the situation in neighboring Syria deteriorates. More than 100 US troops have been deployed to Jordan to provide aid in securing the border as well as humanitarian support for Syrian refugees, according to USA Today. Additionally, US and Jordanian forces are monitoring Syria’s chemical and biological weapons stocks. 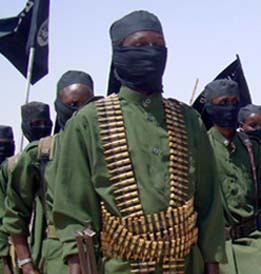 Foreign jihadists from North Africa, the Palestinian Territories, Egypt, Yemen, Jordan, Lebanon, Turkey, the United Kingdom, and other countries have been traveling to Syria to battle forces loyal to President Bashir al Assad. 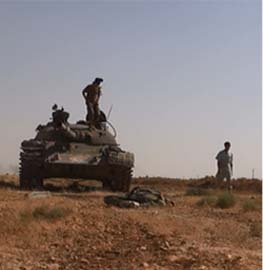 Dozens have been reportedly killed in the fighting. Many of the foreign jihadists are fighting in the ranks of the Al Nusrah Front, an al Qaeda-linked terror group that is infused with leaders and fighters from al Qaeda in Iraq, US intelligence officials have told The Long War Journal. Zarqawi founded al Qaeda in Iraq, with the support of Osama bin laden, and also established terror groups such as the Abdullah Azzam Brigades to fight regimes in the region. The group has now claimed credit for 31 of the 38 suicide bombings in Syria that the The Long War Journal has tallied since December 2011. 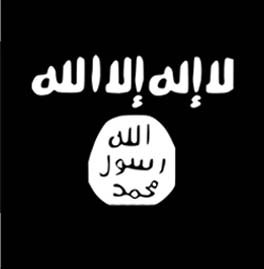 Since the end of August, Al Nusrah has claimed credit for launching 13 suicide attacks. For more information on the suicide attacks in Syria, see LWJ reports, Suicide bombings become commonplace in Syria , and Al Nusrah Front claims 5 suicide attacks in Syria in past month. The Al Nusrah Front is known to conduct joint operations with the Free Syrian Army, the main group in Syria that is held up as the secular opposition to the Assad regime. 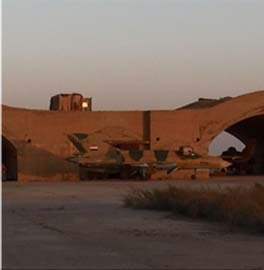 Last week, its fighters seized a Syrian air defense base in Aleppo in a joint operation with the Free Syrian Army. In August, Al Nusrah said it attacked a police station outside of Damascus along with the Al Sahaba Battalion, a unit of the Free Syrian Army that operates in the capital. According to The Guardian, jihadist groups such as Al Nusrah have become more appealing to Syrian rebels as they are better organized and have expertise from waging jihad in Iraq and elsewhere, and have integrated their operations with the Free Syrian Army. The Al Nusrah Front has been backed by known radical Islamist clerics with ties to al Qaeda. In May, Abu Muhammad al Tahawi, a Salafist Jordanian cleric who has encouraged jihadists to fight in Iraq and elsewhere and who is close to Abu Muhammad al Maqdisi, Zarqawi’s mentor, released a statement backing Al Nusrah. tore apart the idol of the era America and put its nose in the dirt of defeat in Iraq and Afghanistan, and very soon in the Levant, will put down the nose of the Nusayris [Alawhites], the daughter of Zionism, and extirpate them from the heart of Muslim land,” al Tahawi said. Despite the fact that Abu Musab al Zarqawi was killed in Iraq more than six years ago, his family members and acolytes continue to appear on the battlefield. In addition to the two cousins who were detained after returning from Syria, several Zarqawi relatives and lieutenants are known to have operated in Pakistan, Afghanistan, and Yemen. Salahuddin al Maqdisi, who served as an aide to Abu Musab al Zarqawi and is the brother of Jordanian cleric Abu Muhammad al Maqdisi, is currently operating in Afghanistan, according to a statement released on a jihadist website in June 2011. Abu Abdul Rahman al Aseer al Urduni, a Jordanian who was killed in Afghanistan, served as a recruiter for Zarqawi’s al Qaeda in Iraq. “He sent more than 30 brothers to Iraq,” a Lebanese jihadist said in a eulogy for al Urdani. Abu Hammam al Zarqawi, one of Zarqawi’s nephews, was killed in US drone strike in Yemen sometime in 2012. Mahmoud Mahdi Zeidan, the brother of Omar Mahdi Zeidan, a radical cleric from Zarqawi’s hometown of Zarqa, was killed in a US drone strike in North Waziristan, Pakistan sometime in early 2010. Shami served as an ideologue and as a bodyguard for former senior al Qaeda leader Mustafa Abu Yazid, the group’s commander in Afghanistan and chief financier who was killed in a US drone strike on May 21, 2010. 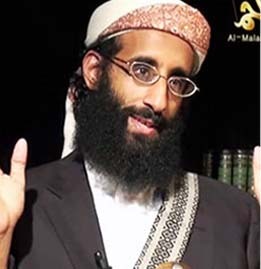 Abdul Rahman al Urduni, another jihadist from Zarqawi’s hometown of Zarqa, was killed in a US drone strike in 2012. Omar Mahdi Zeidan eulogized Abdul Rahman al Urduni in June. War against west will come from Iraq and Syria…Its shocking that west consider alqaeda moles like Noman Benotman and likes like him as experts. And now here there is a veteran jihadi group in Iraq and Syria which cannot be taken out by drones. May be its high time for Christians to leave middle east…there id no future for them.